Camden Townhome Rentals | Come On In! Camden Townhome Rentals are located in the Camden Crossing subdivision on the North side of Sycamore, Il., just West of the Rt. 23 and Peace Road intersection. This area is one of the newest in Sycamore. Heron Creek homes are to the East, Merry Oaks Estate homes are to the South. Camden Townhome Rentals is a quiet community. We are perfect for middle age or older couples as well as singles or couples just getting started. In Camden Crossing subdivision there are 3 ponds, a park and a walking / bike path. The townhomes are close to the new Jewel and many restaurants. 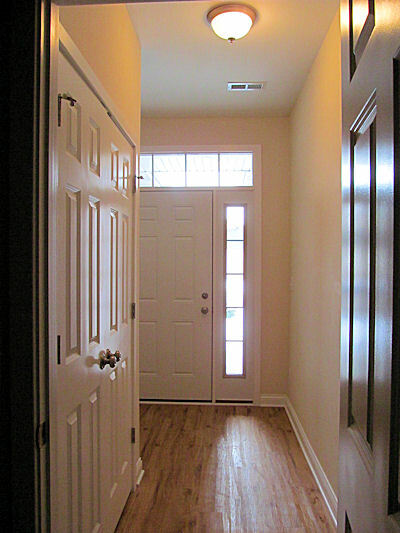 We have two bedroom ranch townhome units as well as one bedroom ranch townhomes with a sunroom, attached. Both types of units have their own attached, 2 car garage, driveway and patio. We also have duplex townhomes with 2 bedrooms and a sunroom, also with attached 2 car garages, driveways and patios. All have been recently built and have been subject to the latest energy codes. Camden Townhome Rentals are locally owned and managed. Lawn care and snow removal is taken care of at no cost. For the price, Camden Townhome Rentals are the best product on the market!